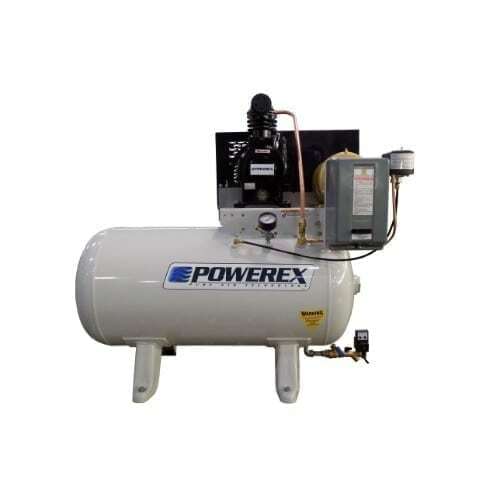 Our tank mounted Climate Control systems have been designed and tested to meet the most demanding specifications for low oil carryover and long life in the pneumatic climate control industry. The compressor motors are NEMA Class B design. Our duplex configuration (AD models) are ideal for instrumentation systems requiring an alternate compressor for standby or overload capacity. Many HVAC systems use air pressure to control thermostat dampeners in the ducting systems. The varying air pressure on the thermostat opens and closes the ducts. A dependable and low duty cycle compressor is needed to control these dampeners. The pressure range for our simplex system is 70-90 psi and the range for the pumps on our duplex are 60-80 psi and 70-90 psi, but the end use pressure is under 30 psi at the thermostats. Diverse operating conditions in a demanding environment necessitate a durable system. 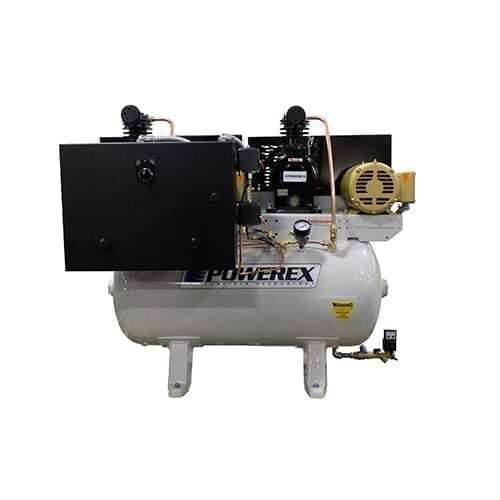 Our tank mounted climate control simplex (AS) and duplex (AD) units have been designed for low oil carryover and long life in the pneumatic climate control industry. Our duplex configuration is ideal for instrumentation systems that require an alternate compressor for standby or overload capacity.